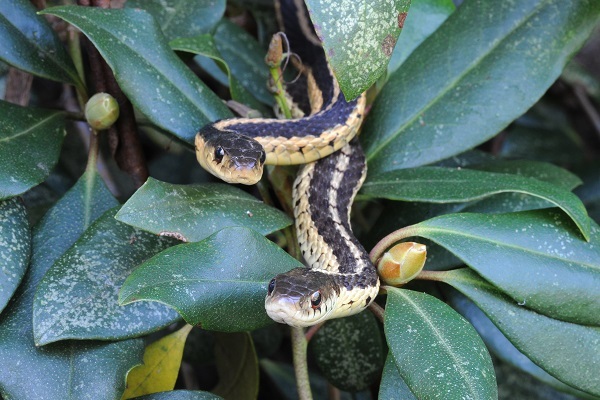 Posted on October 2, 2017 by Ryan D.
Snakes tend to get a bad rap, but they’re actually fascinating creatures that can help control pests like rodents and slugs thanks to their carnivorous diet. 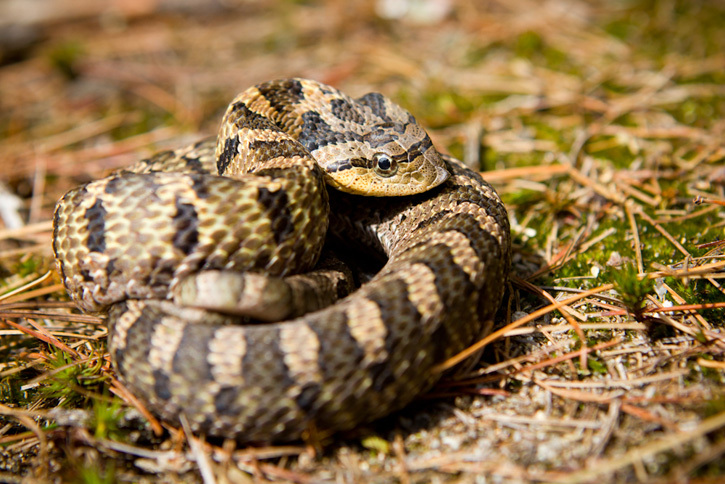 Plus, the vast majority of snakes that you’ll find in the Northeast are not dangerous. 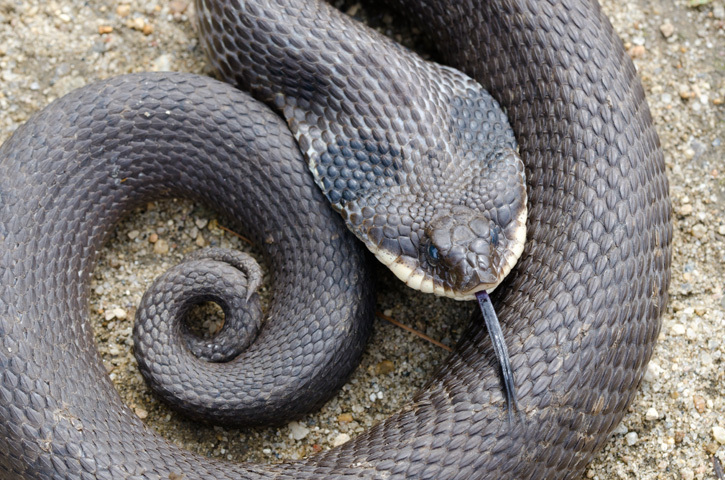 In fact, of the 14 snake species found in Massachusetts, only two are venomous—the northern copperhead and timber rattlesnake—both of which are extremely rare (endangered, in fact) and they tend to avoid suburban and urban areas. 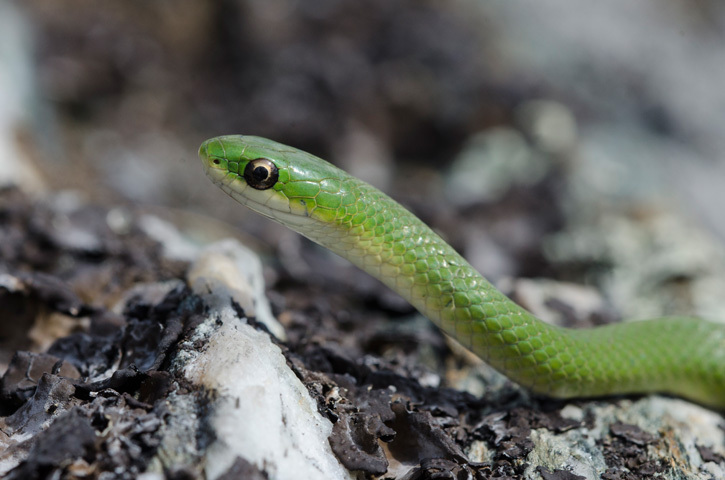 Snakes prefer to avoid people, and will generally only bite when they are picked up, stepped on, or otherwise provoked. Fortunately, snakes do not carry diseases that are transmissible to humans. Interestingly, snakes never stop growing, and every now and then, they must shed the skin that they’ve outgrown. Sometimes you can find these papery, scaly skins left behind on the trail—keep an eye out on your next hike! 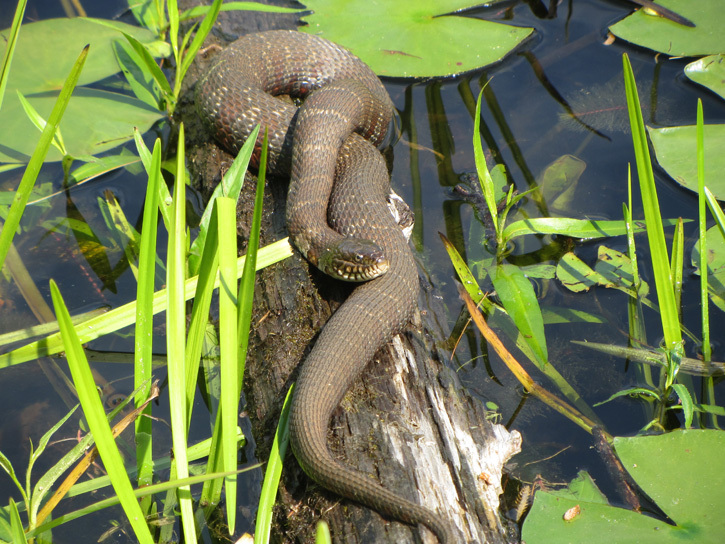 Below are five photos of snakes that you might see in Massachusetts, submitted to our annual Picture This: Your Great Outdoors photo contest. 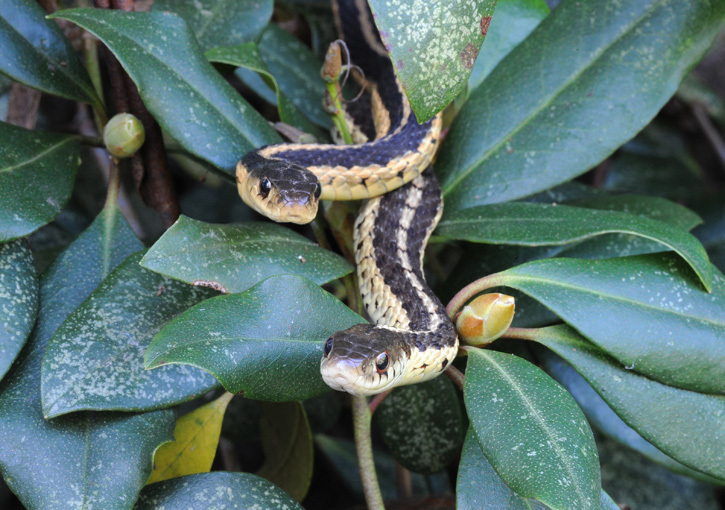 Learn about all the native snake species on our website. This entry was posted in Take 5 and tagged photo contest, photography, reptiles, snakes on October 2, 2017 by Ryan D..
Where: Mass Audubon Headquarters, Lincoln | Who: A Vermont expat with maple sap in her veins | Favorite part of the job: Exploring sanctuaries with camera in hand.